Applying to Archbishop Carroll is simple and convenient. The admissions process varies depending upon a student's grade and current school. Please select from the options below for details. The High School Placement Test (HSPT) is required for all incoming ninth graders. HSPT is a mandatory, comprehensive test for eighth graders for placement in the ninth grade. 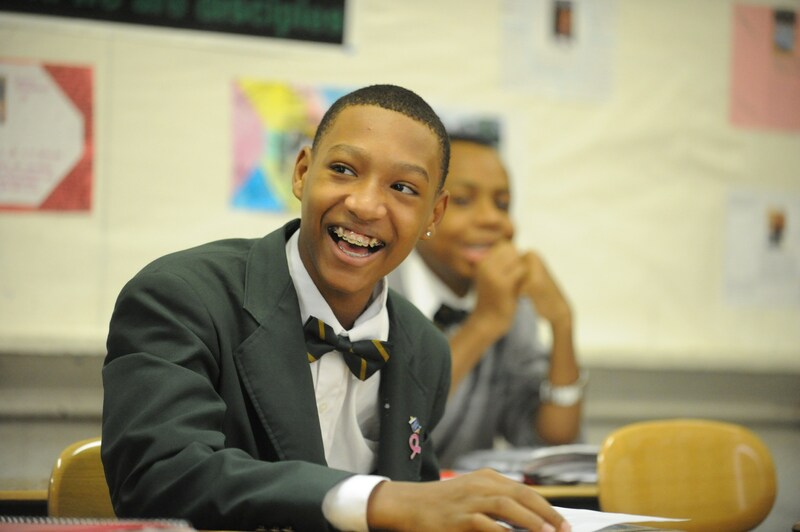 The HSPT is used in admissions, scholarship selection, and curriculum placement at Archbishop Carroll High School. To learn more and register for the HSPT, click here. 1) Complete the admissions application (online or PDF) and submit it to the Admissions Office. The application fee is $25. 2) List Archbishop Carroll as one of your choices when you take the High School Placement Test at your school so that your school will send your complete transcript and recommendations directly to Archbishop Carroll. * Three teacher recommendations (PDF) from from current school administrator or counselor, current Math teacher, and current English teacher. 3) Register for the Archdiocesan High School Placement Test at least two weeks prior to test date. To learn more and register, click here. 1) Complete the application (online or PDF) and submit it to the Admissions Office. The application fee is $25. * Academic transcripts from the last two years (current and prior school year). Submit this Records Request Form to the school(s) attended. * Three teacher recommendations (PDF) from teachers in an academic discipline. * Most recent standardized test scores.